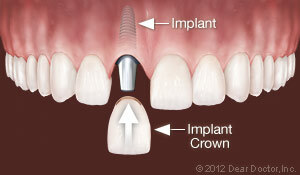 Dental implants are the revolutionary way to replace one or more missing teeth. They are a permanent, stable way to complete your smile. You don’t need to remove them, and they won’t move around when you are speaking or eating, unlike partials and dentures. Your dentists at Santa Rosa Dental Care in Santa Rosa, CA want you to know the benefits of dental implants and why they are the modern way to replace your missing teeth. Dental implants are created from titanium, a very strong material that is also biocompatible, gentle to soft tissue and bone. 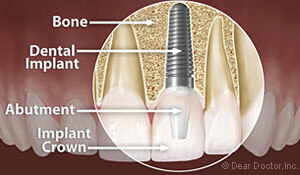 In fact, after an implant is placed, your bone will grow around it and fuse to the implant, locking it in place. 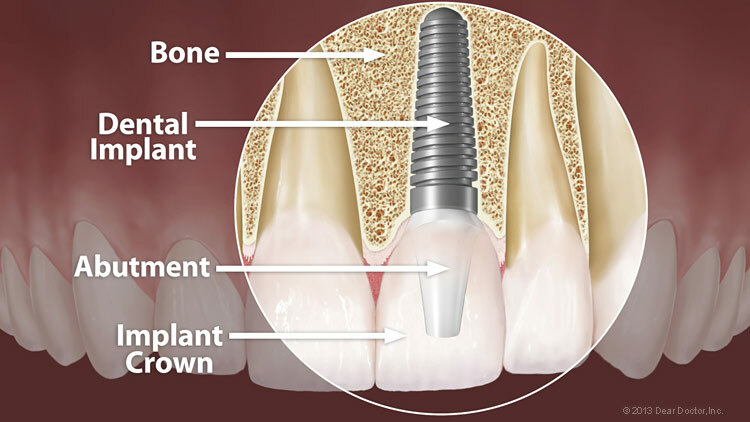 The titanium implant functions as the “root” of your missing tooth. After your bone has healed completely around the implant, your Santa Rosa dentist will cap the implant with a beautiful, lifelike porcelain crown. Your dental implant will look and feel completely natural. Are you interested in Dental Implants? Call Santa Rosa Dental Care in Santa Rosa, CA at (707) 921-1970 today!